This weekend sees more tactics and strategy come into play, with 36% of the teams making horse changes between the two rounds in Monaco, and 11% of the teams making rider changes. As the Championship gallops towards the final in Doha, all thoughts are on the all-important GC Playoffs, where only the top 16 teams will qualify for a place in the GCL Super Cup. Looking for a strong result today will be the team in pole position, New York Empire, with the squad keeping their line up of Scott Brash and David Will. Brash however will swap his more experienced horse Hello Forever for Hello Mr President - the 9 year old fresh and scopey and well suited to the compact arena. Likewise all of the teams on clear will keep their riders locked in for today’s showdown, believing their star strikers to be on strong form in the all-important Monaco final. 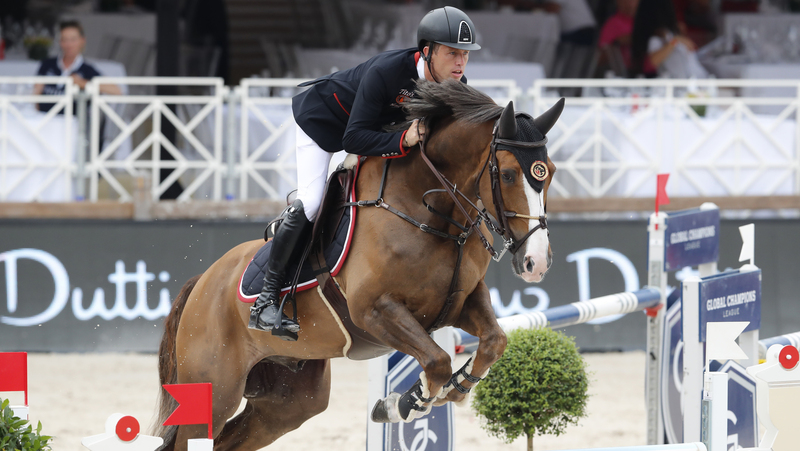 One of the only changes was the Shanghai Swans, who swap in Pius Schwizer - a rider who has won two of the speed classes here in Monaco this weekend - to ride alongside Pedro Veniss, the Swans desperately hoping for a strong result. The action kicks off at 16:45 local time, and can be watched live via GC TV and on the official GCL Facebook Page.